Kolkata Police Recruitment 2019: Dear applicants, Here goes the latest Job notification. Kolkata Police Department has opened the application form for the eligible candidates to fill up 75 Vacancies of Civic Volunteers. Candidates those who are interested can apply to fill up for the posts in Kolkata Police official website @ www.kolkatapolice.gov.in from now. The last date to fill the application form is on 26th February 2019. The application form will be available online or the candidates can click the below apply link which will direct to the application form. Then applicants are requested to send the application form via offline mode to the below-mentioned address. Candidates should very careful while filling the application form. 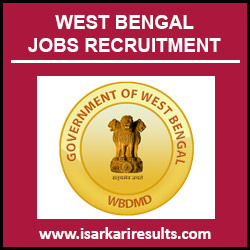 Here in the below web page applicants can get to know the details about the Kolkata Police Recruitment 2019. Kolkata Police Recruitment has released the following vacancy details with their recent recruitment which was announced on Started. They give a huge surprise to the candidates who are looking for the Government job. They invite 75 Candidates to fill their vacancies for Civic Volunteers. Applicants can check their job vacancy details by below. Aspirants those who have completed minimum educational qualification 8th from recognized board are eligible for this Civic Volunteers Posts. Here applicants can get to the prescribed age limit for applying for this job. Before applying candidates can check the eligibility criteria like educational Qualification, Application fee, Age limit and So on. The below article will be very helpful for the aspirants those who fill the application form. As per the recent Kolkata Police notification 2019, the eligibility details for the Civic Volunteers jobs have given below. It is very important to check your qualification for this opportunity. If you have less qualification, you may not able to apply for this career. Here in the below, applicants can get to know the details of educational qualification, age limit, application fee and so on for the Kolkata Police Recruitment 2019. Candidates are requested to check their education qualification required for various Kolkata Police Jobs 2019. To apply for a Kolkata Police Recruitment 2019, the candidates required to attain the following age limit. The notified aged candidates only can able to apply for the job vacancy. check the age limit details below. Candidates can check various salary information in the Official Website. Now, Click on the Kolkata Police Application Form.